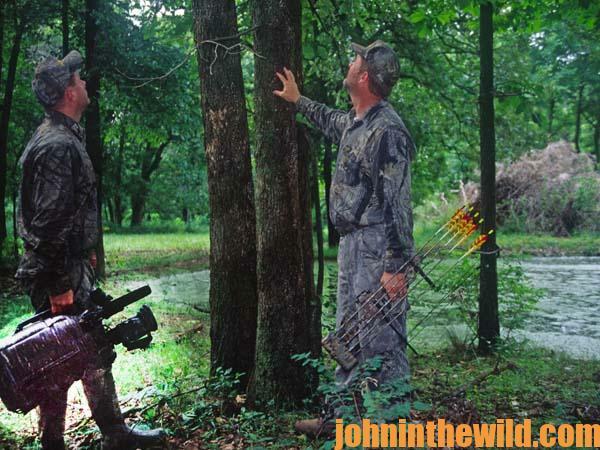 John’s Note: With a video camera, you can enjoy your hunts and those of your friends over and over again, and today more and more hunters video their hunts. 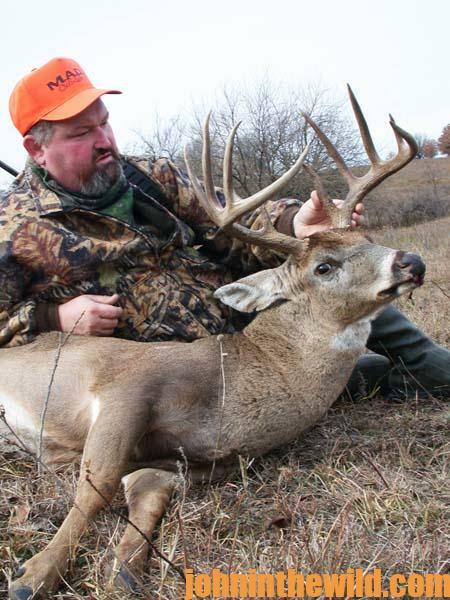 How can you with your home video camera produce great hunting videos like the pros do for all the great hunting shows available today on TV? 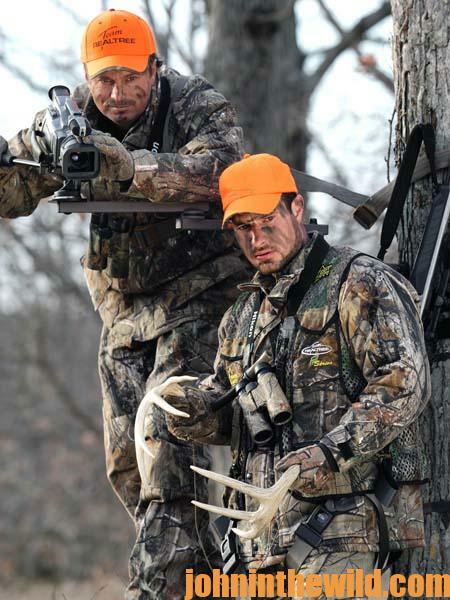 How can you capture the essence of the hunt to make friends and neighbors eagerly pile up on your sofa to view your video? 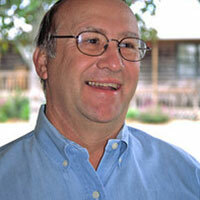 This week we’ll learn what four outdoor videographers say. Tad Brown, today in PR with Flambeau Outdoors has carried a camera and a tripod for many years and shot the video for many of the Drury Outdoors hunting videos and for M.A.D. calls. Known as a consummate woodsman, Brown has trapped, called game and hunted many species of animals before ever picking up a video camera. 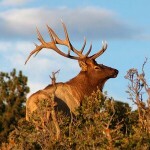 His knowledge of the game and the way it reacts to hunters and to objects that it can identify, like a hunter in camouflage, have contributed to his success with a camera. The correct tree stand that has plenty of room and is sturdy but extremely lightweight is very important to my success when I’m videoing. I also use treepods that we custom build to hold our cameras for eye-pleasing, quality hunting videos. If you don’t have a treepod, then use a simple, one-legged monopod, a tripod with only one leg. You can hold a monopod between your knees, which will reduce the movement of the camera. The head that the camera mounts on is also critical to making eye-pleasing video. 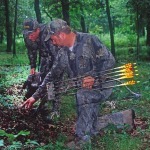 You need a ball type head that allows the camera to pan from the deer to the hunter in a fluid instead of a jerky motion. 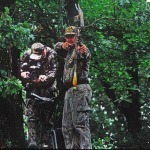 To make a quality hunting video, you must connect the hunter with the game by photographing the game first, like a deer coming out of the timber into a clearing. Next, once you have a tight shot of the deer’s stepping out into the opening, then zoom away from the deer or zoom back to show where the hunter is in relationship to the deer. Too, show what the hunter is doing. Is he getting his gun up? 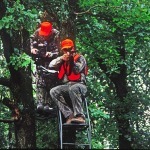 Is he using his binoculars to look at the deer? 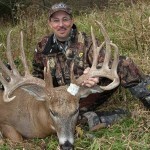 Is he using a game call or rattling antlers? Now that you have the hunter connected to that deer and the viewer can understand the hunter’s relationship to the deer, zoom back in on the animal. You need to make this type of connection so that the viewer understands that this is a wild hunt. Also, be careful of trying to shoot under poor lighting conditions. Also consider taking some type of protection for your camera with you. All cameras are expensive. I carry a trash bag or a raincoat with me to protect my camera against inclement weather. If the rain begins, the first thing I do is to cover up my camera and protect it before I put on my own rainsuit. I also always carry my camera and all my equipment in a bag to and from the tree stand to protect the equipment while I’m walking through the woods. Too, I always make sure I have a full charge in all my batteries before I go to the woods and carry extra batteries and extra tapes with me. 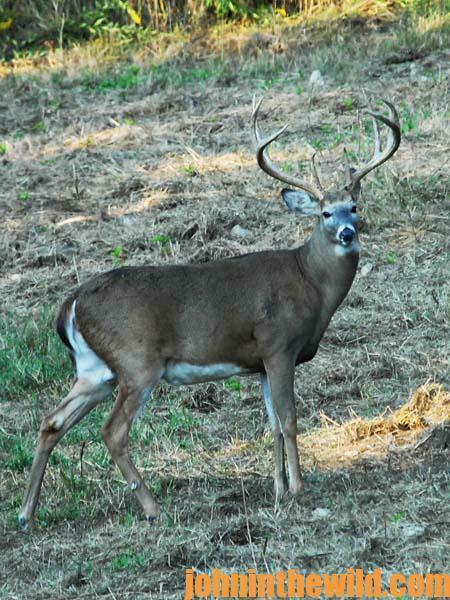 If you have problems with your batteries or the tape as a big buck is moving toward you, you quickly and easily can replace the batteries or the tape and still capture the hunt on video. Without that extra equipment you may not get all the shots you needed. 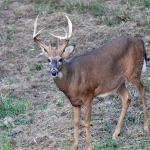 To learn more about deer hunting, you can get John E. Phillips’ Kindle eBooks, “How to Hunt Deer Up Close: With Bows, Rifles, Muzzleloaders and Crossbows,” “PhD Whitetails: How to Hunt and Take the Smartest Deer on Any Property,” “How to Take Monster Bucks,” and “How to Hunt Deer Like a Pro,” or to prepare venison, get “Deer & Fixings.” Click here.